Tires are an important part of your car. They are just as important as the brakes. You could have brand new brakes but old tires won’t help the car stop as efficiently as it should. When tire treads are worn, your vehicle may be unable to handle weather conditions like rain and snow. Here are some ways to check to see if you need new tires. With President Lincoln’s head pointed down, insert a penny into the grooves on your tire tread. If any part of Lincoln’s head is hidden by the tire tread, your tires are fine. Otherwise, your treads are too shallow and it’s time to replace your tires. Newer tires have something that older tires lacked: they have tread wear indicator bars built into the tires themselves. These bars are invisible or barely visible when the tires are new. But gradually begin to appear as the tread wears down. They appear as flat rubber bars running perpendicular to the direction of the tread itself. If more than one or two of these are visible on a tire, the tread is getting low. If you don’t drive your car that often, you don’t really pay attention to the tire tread. Mainly because the tread wears the more you drive. Regardless of tread wear, many vehicle manufacturers generally recommend that you replace your tires after six years. Check the manufacturer’s recommendations on your specific tires to see how often you should change them. Exposure to heat and the sun’s rays may cause structural changes to your tires. Actually, any extreme weather conditions — from cold temperatures, ice, and snow to heat — can combine with rocks, potholes and road conditions to wear down and damage your tires. That’s why we make sure to help you choose the right tire for your climate and season. Checking your car’s manual or asking your favorite dealership for a recommendation can make sure you pick out the correct tires. Use these tips to make sure you keep your car in tip-top shape and get them changed whenever you need new ones. 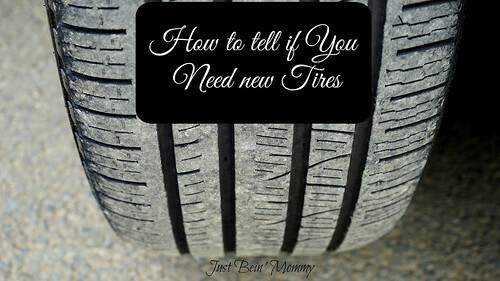 If you need to know whether or not you need new tires, check out this post for more information.